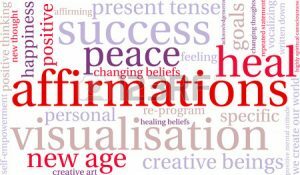 If you don’t know about positive affirmations, or have heard of them but haven’t used them… It’s okay! A lot of folks think that it’s a bunch of woo-woo or craziness to talk to your self and repeat words to yourself — or that your spouse, partner, or neighbors might think that you are crazy. 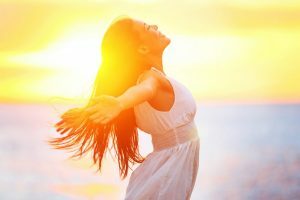 The truth is that affirmations is not a new concept, and the more that I delve in the wonky world of Positive Affirmations, the more I find that the folks that let go and put out their goals out into the universe, they lead much more fulfilled, happy and successful lives. Athletes do affirmations! Many celebrities (especially those who have withstood the test of time) have admitted publicly to their use of affirmations — (Oprah does it — drop the mic here lol). Okay, seriously ~~ CEOs and many high power executives and entrepreneurs have a daily routine of goals and affirmations. I’ve been looking closely into these people for the past few months and I just can’t see why we can’t keep this up within our faith! Enter… the new Morning Orisha Affirmations! I created this because… I loove affirmations, and printables (really, if it wasn’t for a husband who hates things taped to the wall, I’d have them everywhere!!! ), but sometimes they are way too broad. I want to say, Oshun! Yemonja! Esu, etc! in my daily words! OMG! I’m tickled pink and purple on this one! Definitely, click on the button before and get your FREE Morning Orisha Affirmations! (I’m so excited that I can’t even complete these sentences! ).